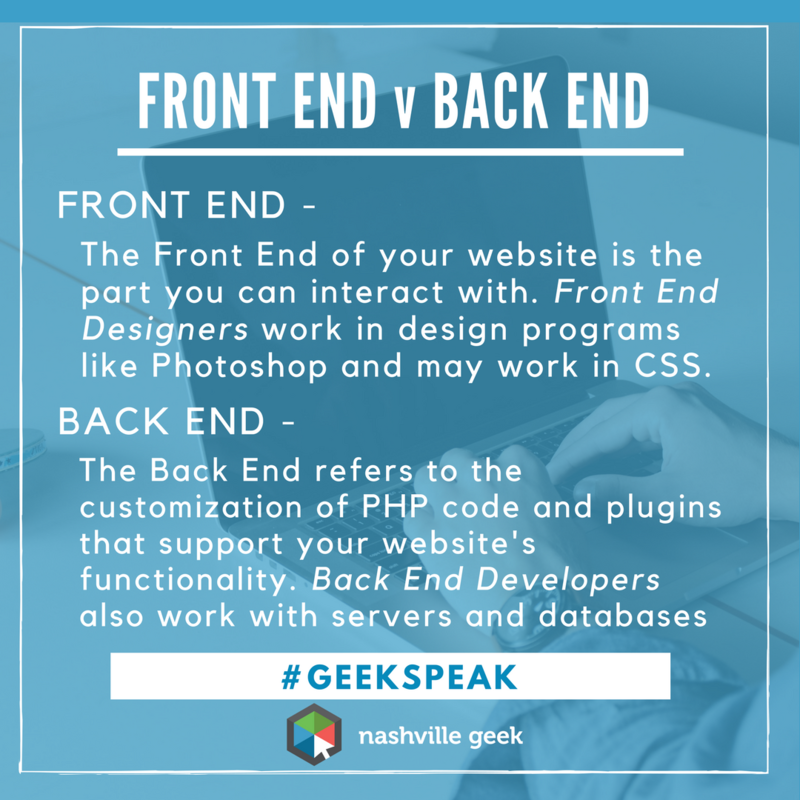 This is the most basic definition of Front End Designer and Back End Developer. However, the line between the two is continually blurring. For instance, many Front End Designers now have a better understanding of what code is needed to effect a certain design element and many Back End Developers are familiar with design programs and do some of the website design themselves.